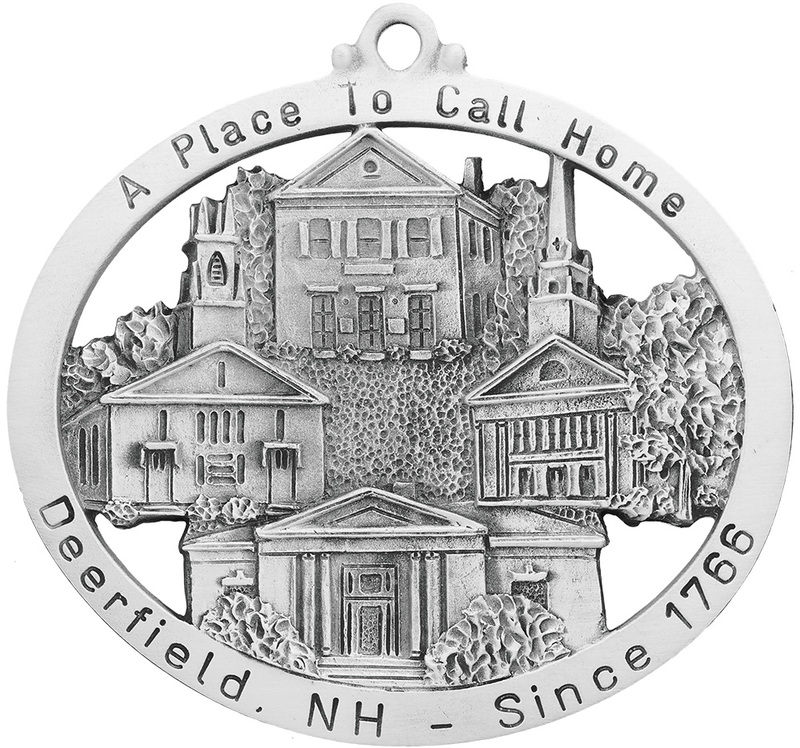 The Town of Deerfield commissioned Hampshire Pewter to create this beautifully detailed ornament. The ornament captures their request to include four historic buildings within Deerfield. 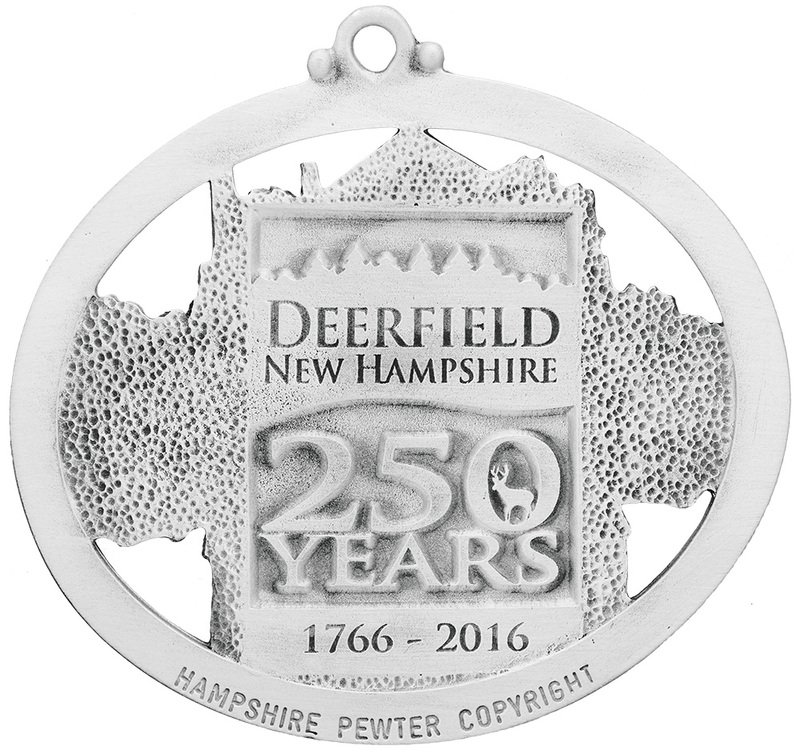 The ornament was one part of a larger project to create anniversary souvenirs for the Town of Deerfield. Check out the zoom feature to see the details of the ornament. Click on the smaller images to toggle between the front and back of the ornament.